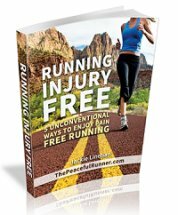 Below are all back issues of The Peaceful Runner Newsletter, which you can subscribe to from this site. <!-start repeat --> October 16, 2013 -- The Peaceful Runner Newsletter #37 - October 16, 2013 - Experience the Joy of Running Again! September 25, 2013 -- The Peaceful Runner Newsletter #36--Sept. 25, 2013 - Are you Ready for Healthier, Natural Race Fuel? August 21, 2013 -- The Peaceful Runner Newsletter #35 - August 21, 2013 - A Natural Weight-Loss Supplement that Works? 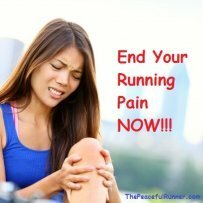 July 30, 2013 -- The Peaceful Runner Newsletter #34 - July 30, 2013 - Do your Muscles Get Sore When Running? September 25, 2012 -- The Peaceful Runner Newsletter #24 - September 25, 2012 - More Reasons to do the Meditation Move! August 28, 2012 -- The Peaceful Runner Newsletter #23 - August 28, 2012 - Enjoy Food Without Guilt! July 26, 2012 -- The Peaceful Runner Newsletter #22 - July 26, 2012 - Improve your Posture Instantly! November 04, 2011 -- The Peaceful Runner Newsletter #14 - November 4, 2011 - Have you Hashed yet? October 04, 2011 -- The Peaceful Runner Newsletter #13 - October 4, 2011 - Barefoot Running - The Transition! September 02, 2011 -- The Peaceful Runner Newsletter #12 - September 2, 2011 - Taking the plunge and going barefoot! August 05, 2011 -- The Peaceful Runner Newsletter #11 - August 5, 2011 - One mistake all runners should avoid! July 07, 2011 -- The Peaceful Runner Newsletter #10 - July 7, 2011 - What is runners high? June 01, 2011 -- The Peaceful Runner Newsletter #9 - June 1, 2011 - Training without a Goal? March 08, 2011 -- The Peaceful Runner Newsletter #6 - March 8, 2011 - Do you run softly and quietly? February 01, 2011 -- The Peaceful Runner Newsletter #5 - February 1, 2011 - Do you struggle when running solo? 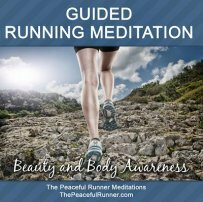 January 05, 2011 -- The Peaceful Runner Newsletter #4 - January 5, 2011 - Can Running be your Meditation?